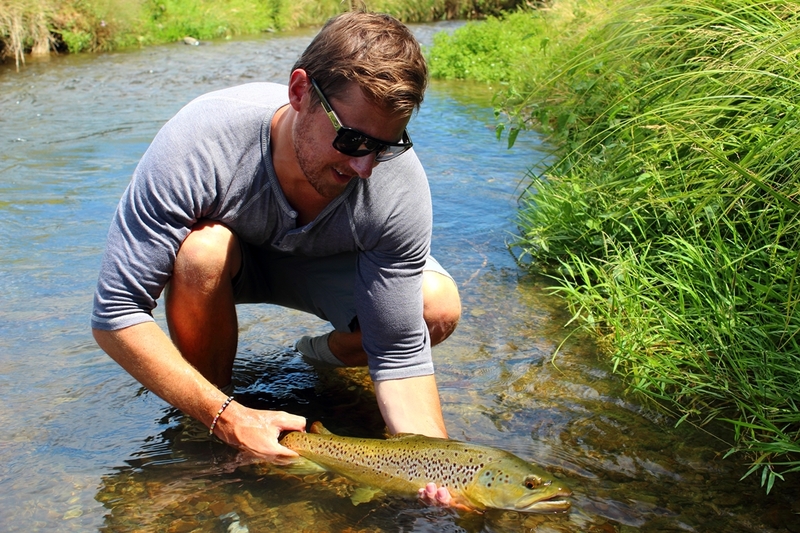 Fishing tiny creeks in New Zealand is quite frankly, a hell a lot of fun! 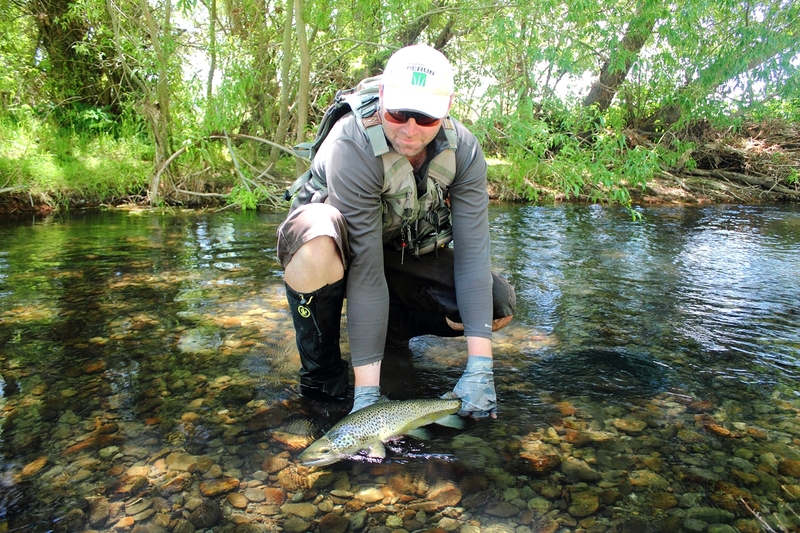 The trout in some of these streams are surprisingly big and as with most big fish, stealth and first cast accuracy will give you the best chance of fooling one. 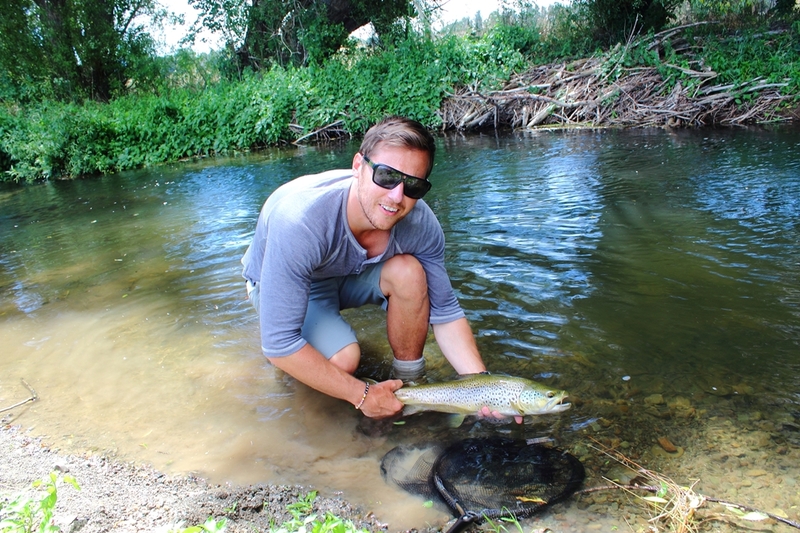 The feeling you get when successfully landing a big trout in a two meter wide creek, is hard to beat. However, the trout have quite a lot of things to snag on, so the landing ratio is usually pretty low. I had just returned to Christchurch after a month of fly fishing the south island and it was time to head on back home to Sweden. Our last two days of the trip had us stuck in Christchurch with no vehicle, so I called up my friend Quentin and he invited me to his secret creek. Being a slave to the fly rod, I just couldn’t turn down an opportunity like this. Arriving at the creek, I was thrilled on how small it was, with a good jump you could be on the other side without even getting wet. 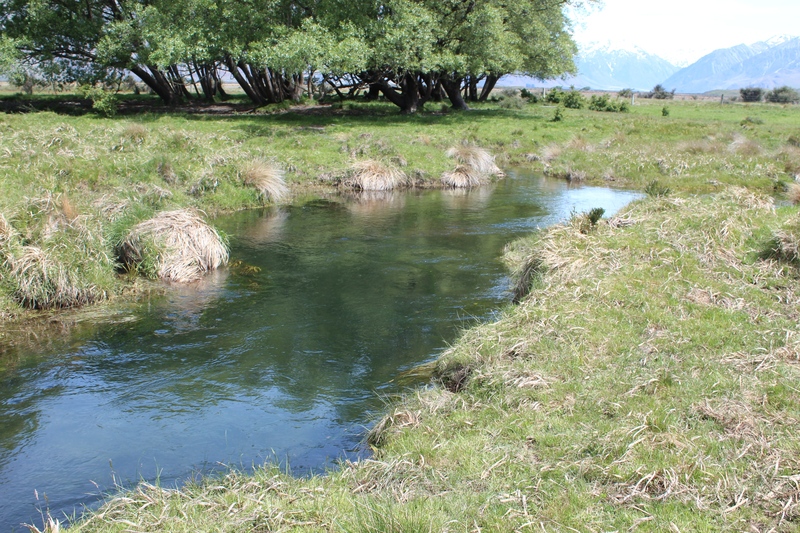 We had been hoping to find a few trout feeding on willow grubs and indeed we did. I pulled out a famous swedish fly pattern called “Super Puppa” – It comes in various colours with a hackle running around the length of the body. You cut the hackle on the top and on the underside of the body, this will leave hackle sticking out on the sides of the fly. You never put floatant on the body itself, you only use it on the hackle, this will keep the body hanging in the surface film, while the hackle will keep the fly from sinking. This fly pattern is suppose to be a caddis pupa imitation, but in this case it worked fine as fat willow grub hanging just on top of the surface. A big challenge when fishing small creeks like this is that you have to get quite close to the fish before you can see it or even be able to get a cast to it. 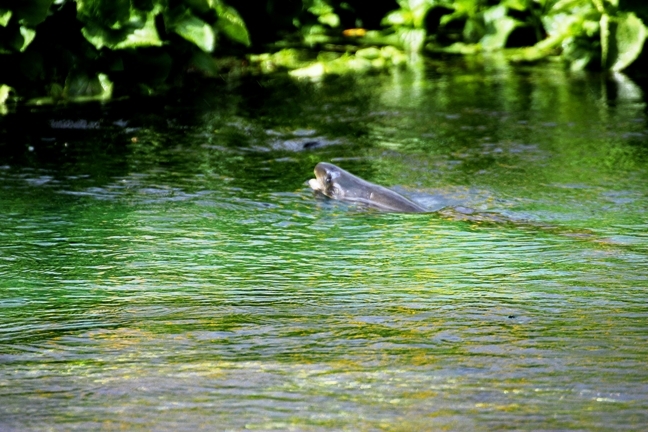 The undercut banks will not be of help either and more often than not, you´ll find yourself trying to pull a fish out of it´s hiding spot. Fishing big rivers will usually keep the fish away from the banks, but here the fish sits right next to both banks and it will undoubtedly go for it. As if this wasn’t a big enough problem, add wind, trees and willows for a cocktail of challenges to overcome to be successful in a creek like this. Fishing tiny creeks is a good recipe for losing your hair early, but it´s worth it. Lovely little stream, here I lost a big one thanks to the undercut banks. Quentin with a spotted friend. A waist deep pool holding this beautiful trout. A tricky fish to catch, but well worth the effort. It offers a bit of everything for the angler, anguish, broken rod tips, low chance of success, what´s not to love!? 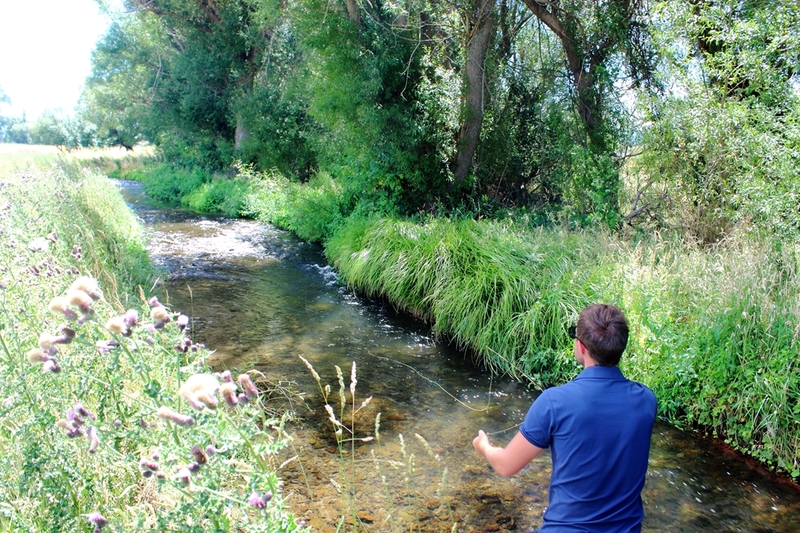 I fishing these tiny challenging creeks any chance I get, they are very tricky but very rewarding to fish. So the next time you travel to New Zealand, don´t just walk by that tiny looking stream, take some time and explore it, you just might find the creek of your dreams. Don´t worry Geir, there will be a lot of fishing from New Zealand.